The Assyrians (people who lived in a region that is known today as Iraq) were perhaps the first to have used lenses to magnify objects, possibly around 1,500 BC. The evidence is a rock crystal discovered by the English archaeologist John Layard in 1850 during the excavation of the ancient city of Nimrud. The crystal was cut and polished into the shape of a lens, however it is not entirely certain that it was used as a magnifying lens and not as jewellery or for some other purpose. Evidence that lenses were in use during the first century BC can be found in the records of the Roman authors Pliny and Senecio who reported that an engraver at Pompeii used a lens to help him in his work. Other historical evidence reveals that the Arabs were using lenses by the year 600 AD, as were the Vikings around the year 900. It is difficult to determine when a refracting telescope was first assembled using lenses. The first person to do so with certainty, and thus the person to be credited with its invention, was the English mathematician Leonard Digges who constructed a refracting telescope sometime between 1540 and 1553 to assist with his topographic surveys. Leonard Digges – or perhaps his son, the English astronomer Thomas Digges – was also the first to turn a refractor towards the sky to study celestial objects. The instrument did not become widely known to the public until 1608 when Hans Lippershey (or Lipperhey), a Dutch optician of German origin, began to make and sell telescopes. Lippershey applied for a patent for what he claimed was his own invention, but was refused on the grounds that the device was already in existence. 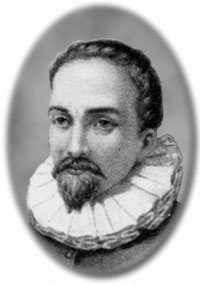 The English mathematician Thomas Harriot was the first to study the Moon in detail using an astronomical telescope in 1609, and it is known with certainty that this occurred several months before Galileo Galilei, the famous Italian physicist, did the same. 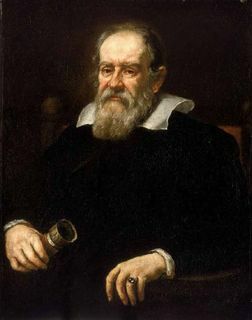 Galilei, however, was the first to have published his observations in a book entitled “The Starry Messenger” (translated from Latin). His book revolutionized our concept of the Universe. 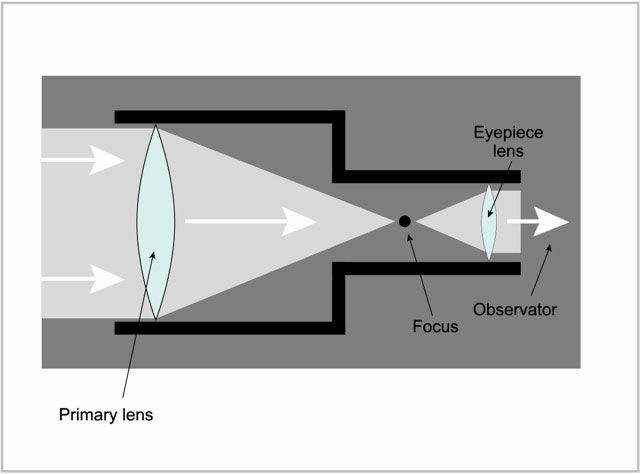 The first refracting telescopes consisted of two lenses separated by some distance within a closed tube. The larger of the two is the objective, or primary lens, and the second is the ocular. The role of the lenses is to concentrate light rays into a single point – the focal point – so as to obtain a sharper magnified image. It is the glass of the lens that allows light to be concentrated. Glass is denser than air, and when light rays pass through it, they are bent from their path in different directions. This phenomenon is known as “refraction”. 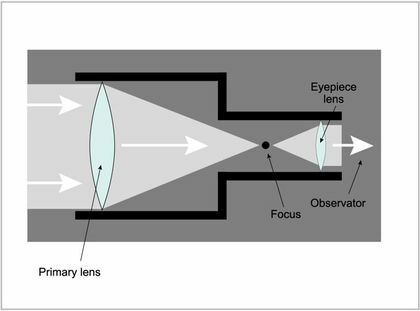 Lenses, to be effective in a telescope, must be shaped so that all the refracted light rays converge in a single point. Unfortunately, we now know today that it is impossible to focus light from an object into a single point using only one lens. The phenomenon that prevents this from happening is known as aberration. There are several types of aberrations, the main ones being chromatic and spherical. All types of aberration cause deformation of the image transmitted by the telescope. Chromatic aberration occurs because light rays of different colours are not all bent by the same amount as they pass through a lens. Consequently, it is impossible to concentrate the rays into a single point. Chromatic aberration causes coloured fringes to appear around the image. Spherical aberration is due to the shape of the lens. A lens is nothing more than a piece of glass with each surface shaped like a portion of a sphere. Unfortunately, a sphere is not the best shape for concentrating light rays into a single point, but is the easiest shape to make when grinding and polishing glass. Spherical aberration causes images to be blurred. These days, refracting telescopes are made using several lenses that are designed and put together in ways that minimize the problems caused by aberrations.